please add greenschools@maeoe.org to your address book or safe list. Welcome Back to School and Fall! We are excited for the new season and working with all our Maryland Green Schools and Centers! Hope you had a great summer and are re-energized for another fun year! There are a few changes at MAEOE. Our small staff has some new faces. We now have Cora Potter stepping in as MAEOE’s Administrative Associate and myself, Winny Tan, in the role of Associate Director. We both have been in environmental centers previously and are passionate about environmental literacy and the education community. Best wishes to Christina Gladmon and Kim Drake! This summer, our MAEOE Board and staff participated in our July Board Away Planning day and are working on new ideas and projects for MAEOE in the future. We want to expand our offerings such as diverse programs and to have more supports and resources for educators and organizations in Maryland. We will update you with more as we make progress. 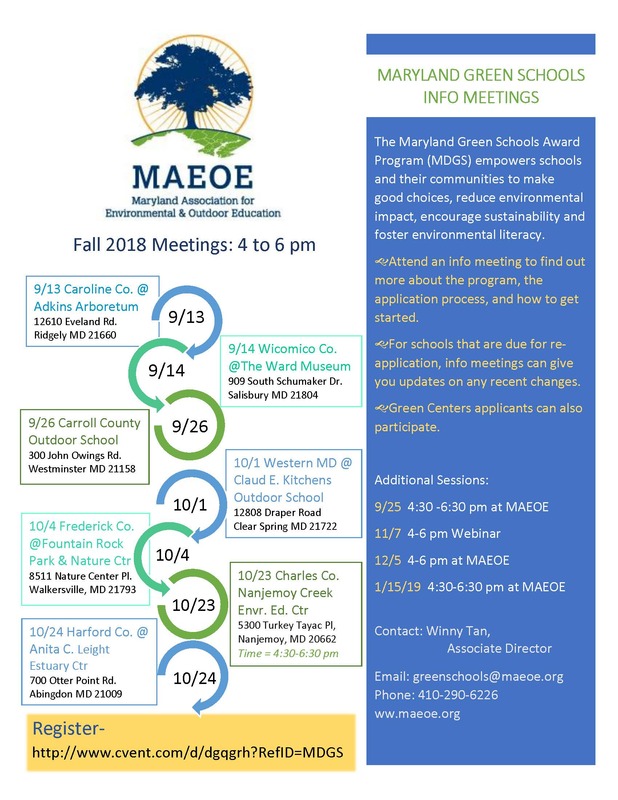 Maryland Green Schools and Green Centers’ information/application guides are updated and up on the MAEOE website for the new award season! Schools/Centers who were awarded in 2015 are all due for recertification. It is the same application process but do look at the website and download the file for updated information as requirements have changed in the last 4 years. Important dates to remember is to register in our “Intent to Apply” system and pay the application fee by December 14, 2018. The cover sheet, summary, and application are due by March 18, 2019. The Metrics are required and should be submitted through the link provided online by March 18, 2019. 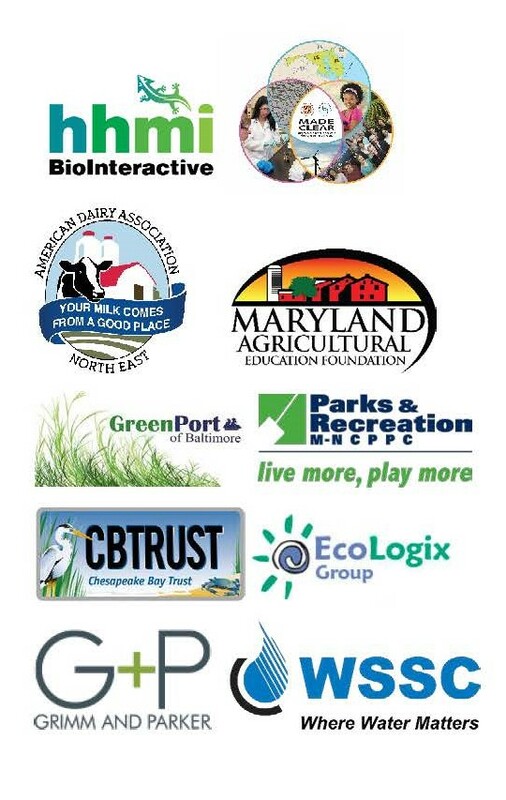 We will notify schools by Earth Day and hand out Maryland Green Schools awards on May 30, 2019 at Sandy Point State Park. Next year will include new changes to the Sustainable School/Center status to include updates every 4 years to encourage growth and continuation of sustainability. The committee will be meeting this year to set up the new guidelines and the application process and we will provide updates along the way! Note: Confirmation and Webinar information will be emailed to participants. 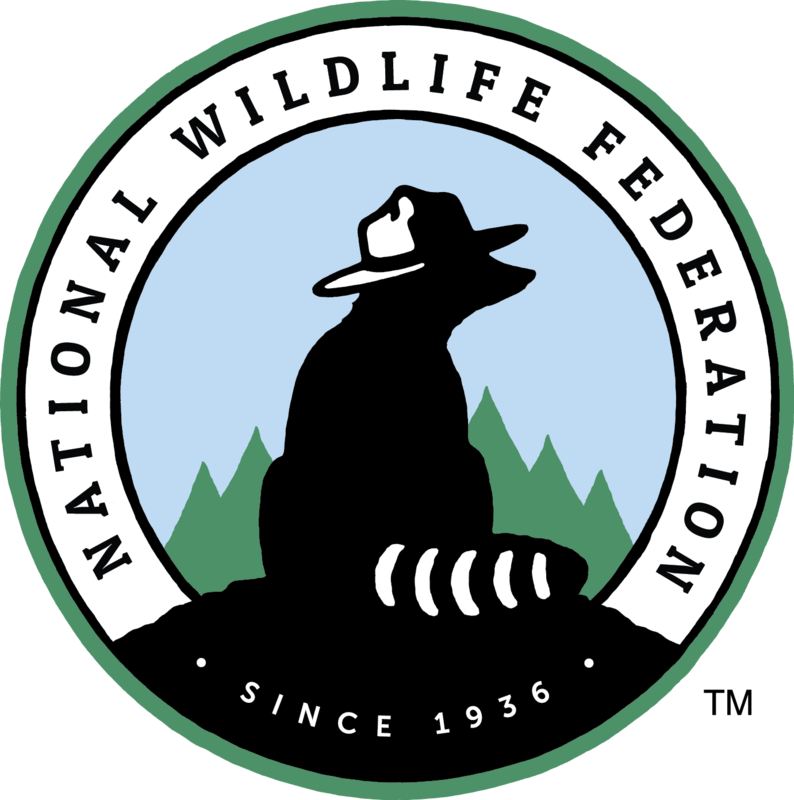 We have been collaborating with National Wildlife Federation to provide additional recognition for schools enhancing their Maryland Green Schools sustainability practices. 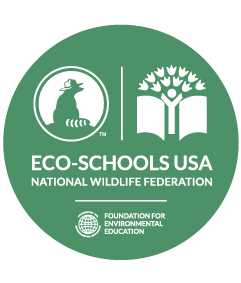 Step into the process of an Eco-Schools USA Bronze or Silver award on your school's personalized dashboard. 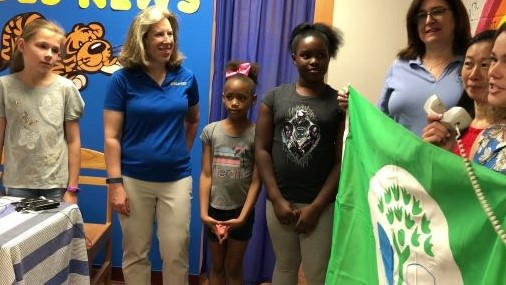 Guilford Elementary in Columbia MD recently received their top award, the Eco-Schools Green Flag and recertified their Maryland Green School status this year! 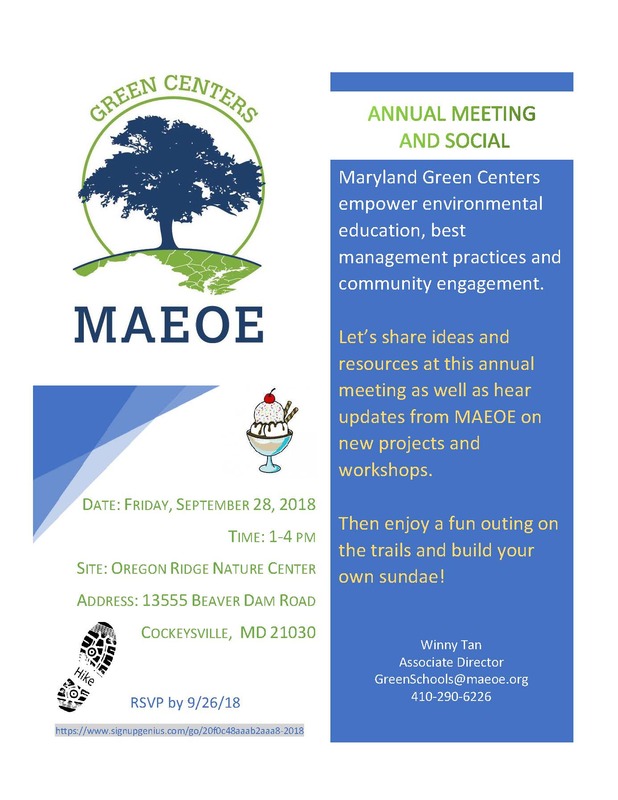 The Maryland Association for Environmental and Outdoor Education (MAEOE) offers workshops throughout the year and we also promote our partners' trainings too. These session do count towards Green School Application Objective 1.2, 10% of School Staff have Environmental Education Professional Development. Check out MAEOE's website under "Professional Development. The requirement for the Green School Application states that 10% of all your teachers need to have professional development. If you are re-certifying your school, you can use PD information and documentation from the past four years. Schools applying for the first time can use PD information and documentation from the past two years. Below are just some of the opportunities from our partners. More details on the MAEOE Calendar! - Sept. 22nd (Sat), 10-11 AM @Irvine Nature Center: Belle's Journey Discussion w/Author FREE! - Oct. 15th (Mon), 7-8:30 PM @Oregon Ridge Nature Center: 4000 Years of Women in Science FREE! - Oct. 27th (Sat): 10:30 AM -12:30 PM: Tours del Rio Anacostia (pontoon tour in Spanish) FREE! Special Early Bird Exhibitor Rate ends September 28! Free Admission to the Baltimore Zoo for MD School Groups when they pre-register! The Free Field Trip Program at The Maryland Zoo in Baltimore is a grant-funded program for Maryland school groups, PreK through grade 12. Public schools, private schools, Head Start programs, and homeschool groups are all eligible for the program. Requests for field trip reservations must be made at least two weeks in advance. Find out more HERE! Bring the outside into your classroom with these unique hands-on, interdisciplinary teaching tools. These education trunks are designed to educate students while building on fundamental disciplines like math, art, social studies, science, language arts and physical education. Education Trunks are available free to educators in Maryland for a one to two week period, depending on availability. For more information, click here. Free school programs too! 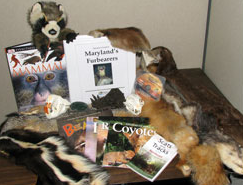 Check out MD DNR's education website! Below are some Events and Green Holidays. If your school plans a school wide activity for one of the Green holidays you could use it on the MD Green School app under section 1.4. 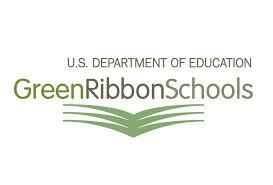 Look for events to use on your Green school application. 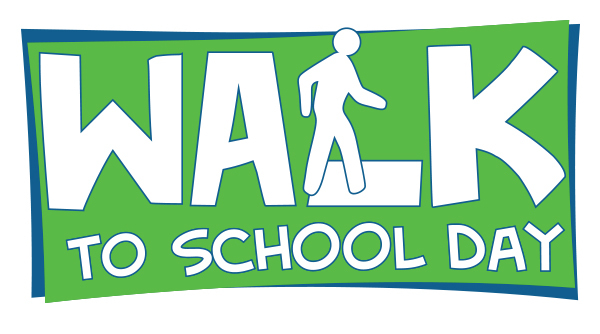 Join students, families, school leaders, community partners and mayors around the world on October 2 to celebrate the benefits of walking or biking to school during International Walk to School Day. Outdoor Classroom Day is a global campaign to celebrate and inspire outdoor learning and play. On the day, thousands of schools around the world take lessons outdoors. November 8 is a day meant to inspire kids to explore and pursue their interests in Science, Technology, Engineering, Art and Math. It's a great way to incorporate environmental literacy, so do something fun and incorporate a sustainable action in your classroom, school, outdoor center, and/or outdoor space! Click here for E-STEM ideas. 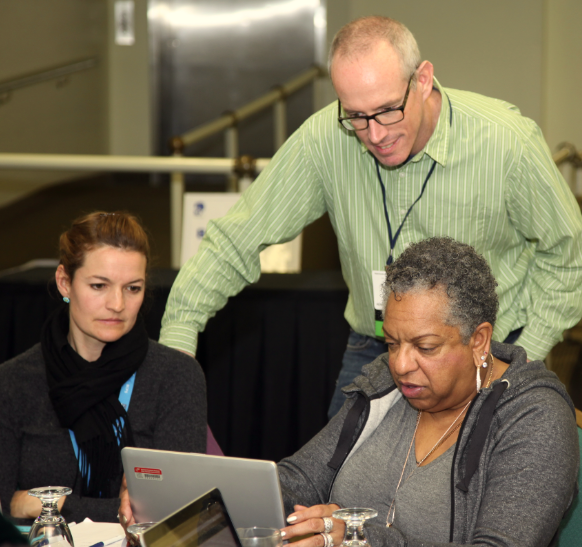 Follow our Facebook and Twitter accounts as well as our blog for the latest information about professional development opportunities, job announcements, and Green Schools deadlines. 1. Develop outdoor classroom routines similar to indoor ones and include things like a gathering spot for check-ins and closing discussion as well as for emergencies. 2. Have a bin of tools, clipboards, hand lens, guidebooks, and journals ready to go. 3. Take along an emergency kit, water and some tissues. 4. Have a Plan B for weather and remind students ahead of time on what to wear. 5. Build up student comfort level and boundaries with some guided explorations first and then let students have free range to observe and explore. 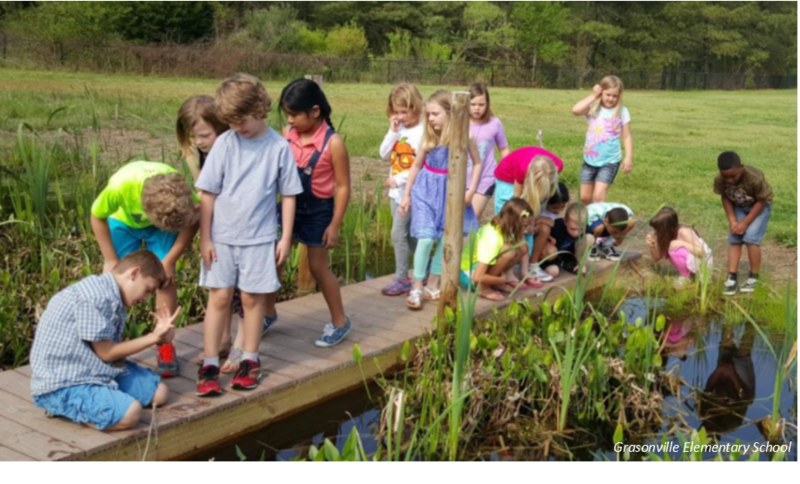 Sustainable school environments enable children to learn in different ways and lots of research show that hands-on, outdoor learning can improve testing performances and achievements later in life. For more tips, check out the this Outdoor Classroom User Guide. Are you interested in assisting a school or more with Sustainable Schools activities or helping a school build a green team? Do you have experience putting together a green school application? Sign-up to be a Green Leader! Explore the Green Leader Page here. Looking to connect with middle and high school students using technology? Check out these 12 apps focusing on topics such as climate change, trees, conservation, and weather, which complement Project Learning Tree’s lesson plans! Project Learning Tree (PLT) offers GreenWorks! grants up to $1,000 to schools and youth organizations for environmental service-learning projects that link classroom learning to the real world. Students implement an action project they help design to green their school or to improve an aspect of their neighborhood’s environment. To be eligible, applicants must have attended a PLT workshop, either in-person or online, that provides training, lesson plans, and other resources to help integrate these projects and environmental education into your curriculum or youth programs. The deadline to apply is September 30, 2018. Funding will be distributed in December 2018. The Maryland Environmental Trust in partnership with Maryland Department of Transportation and Maryland Department of Housing and Community Development presents 5 grants with over $200,000 to help volunteer-based, nonprofit groups, communities, and land trusts in Maryland. Grants support environmental education projects, litter removal, citizen stewardship and to protect natural resources in urban and rural areas. Fall grant cycle will be accepted online from October 1 to November 15, 1018 and awarded in the spring of 2019. Click here for Grant website. It's that time of year again! GEF and Gardener’s Supply Company have teamed up on an exciting funding opportunity for established youth garden projects nationwide! The organizations are calling on schools and youth groups to submit chronicles of their garden projects in a race to win a $250 prize. The award is designed to support the continued sustainability of an exceptional youth garden program that has demonstrated success, and has impacted the lives of kids and their community. The deadline to apply is September 30, 2018. The Trust’s Awards Program honors students, teachers, individuals, communities, businesses, and organizations for their work to promote environmental education, improve local communities, and help restore the natural resources of the Chesapeake Bay region. Submit applications for your standout projects, programs, and leaders! Deadline to submit an application or nomination is October 15, 2018, at 4:00 pm. All applicants/nominees must be residents of Maryland. All winners will be required to create a poster showcasing their work and accomplishments. Winners must be able to attend the awards ceremony in person. The winners will be announced during the Chesapeake Bay Trust’s Legislative Reception to be held in Annapolis in January 2019. Exact date, time, and location to be announced in November 2018. The electronic applications and descriptions of all awards can be accessed here. Please contact Erin Valentine at 410-974-2941, ext. 113 or evalentine@cbtrust.org with questions. Grant Program RFP Now OPEN! supports connections between sustainable supply chains and the natural resource values we care about like water quality, biodiversity, species at risk, carbon sequestration, and resiliency to climate change. 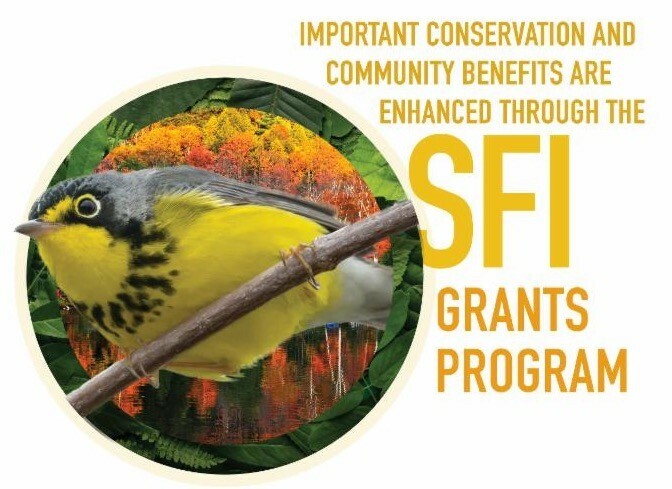 Please see the SFI website for the grant requirements. If you have any questions regarding conservation grants please email Rocco Saracina, Manager, Conservation Partnerships or call (202) 596-3459. If you have any questions regarding community grants please email Amy Doty, Senior Manager, Community Engagement or call (202) 596 3458. And connect your posts to @MAEOE_MD on Facebook and Twitter!